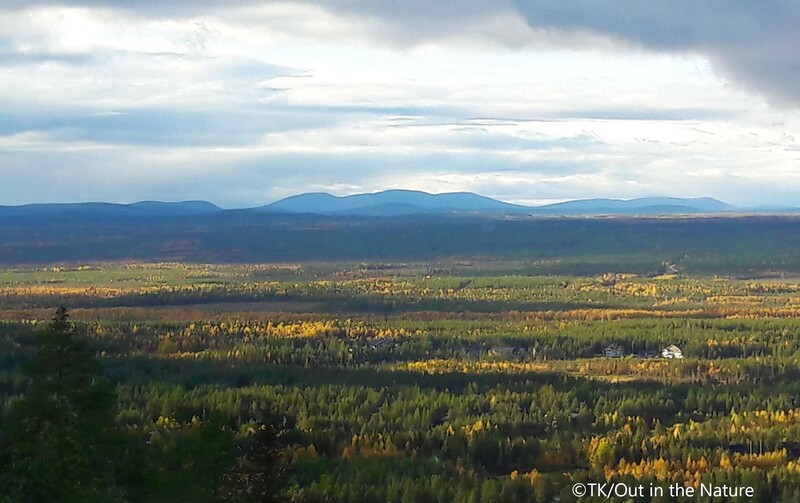 I was visiting Finnish Lapland happily in this exact moment but there with me in Lapland were thousands of tourists who had come to Lapland specifically to enjoy the wonderful autumn colours, crisp air, reindeer, and the unique and mostly undisturbed wilderness. 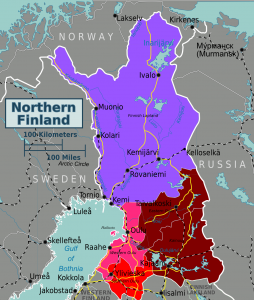 Some call this kind of travelling and exploring ‘leaf peeping’ in English, ‘ruskamatkailu’ (autumn colours travelling) in Finnish, and ‘momijigari’ or ‘kanpūkai’ (getting together to enjoy the autumn foliage) in Japanese. 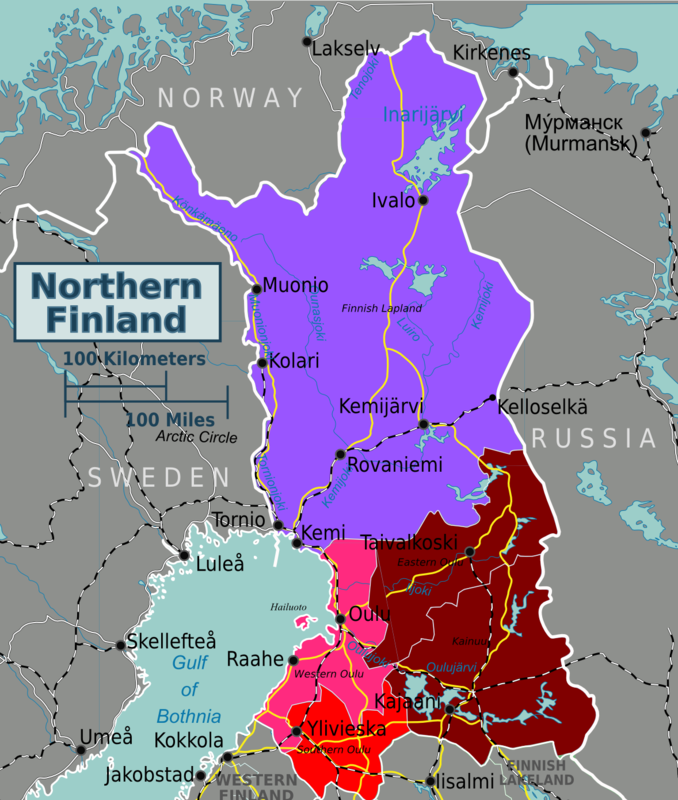 In Finnish, the season of autumn colours and fall foliage is called ruska, which closerly resembles the Finnish word ruskea (brown) as well as the indigenous Northern and Inari Sami language words of ruški and ruške, which also mean autumn colours. 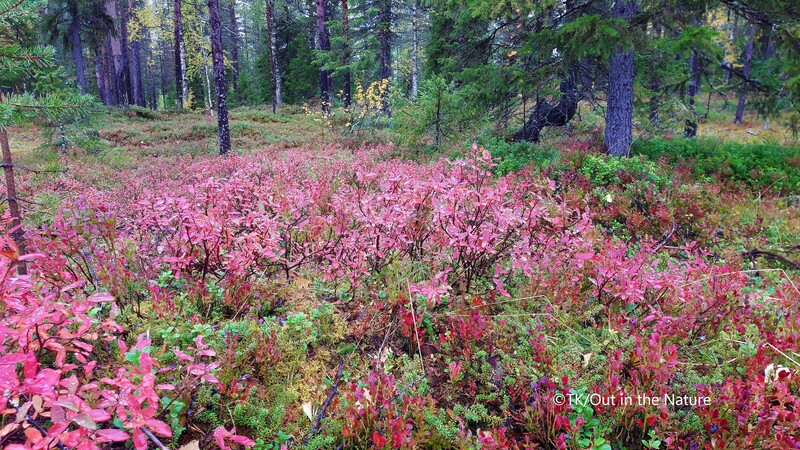 Usually the best time to see autumn colours in Finnish Lapland is in the second week of September. This is the time when it is cold enough for the trees and shrubs to stop photosynthesis and start withdrawing vital ingredients to survive the long winter season. September is still cold enough for this to happen, yet warm enough for the leaves to stay on trees and shrubs. 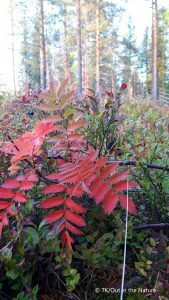 There are two different types of ruska The first one is autumn foliage (puuruska = leaves of trees turning different colours). I found this wonderful tiny mountain ash with entirely bright red leaves in the midst of greens and yellows. 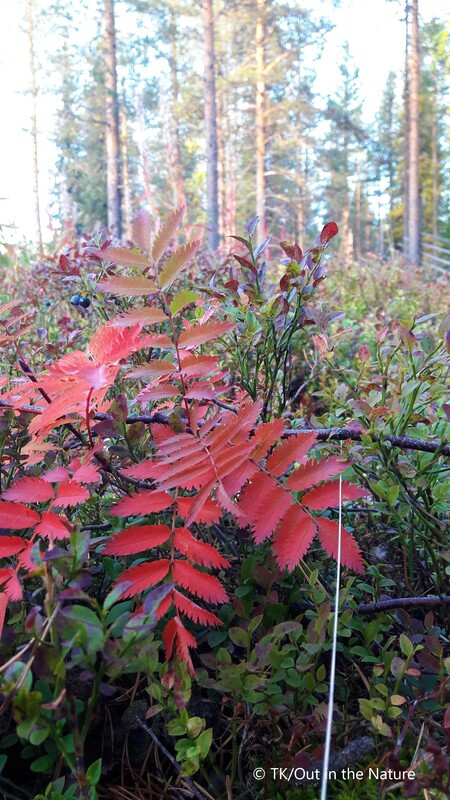 The other type is called shrub autumn colours (maaruska = shrubs and herb plants turning different colours). 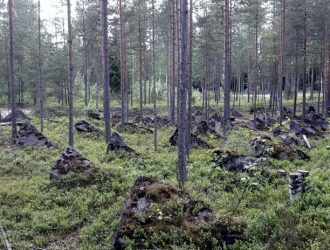 As soon as you step foot into a forest, all you see is blueberry shrubs turning red while the same blue berries still dot the shrubbery. It is impossible to describe how vivid the colours are. Swamps that may seem desolate and dangerous turn into a palette of colours and textures that you just can’t help but bury your nose in and explore. 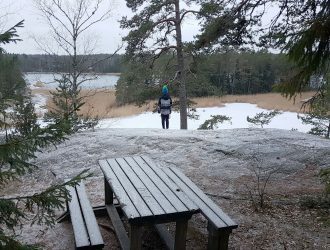 My trip was to Kittilä town in Western Lapland (map). 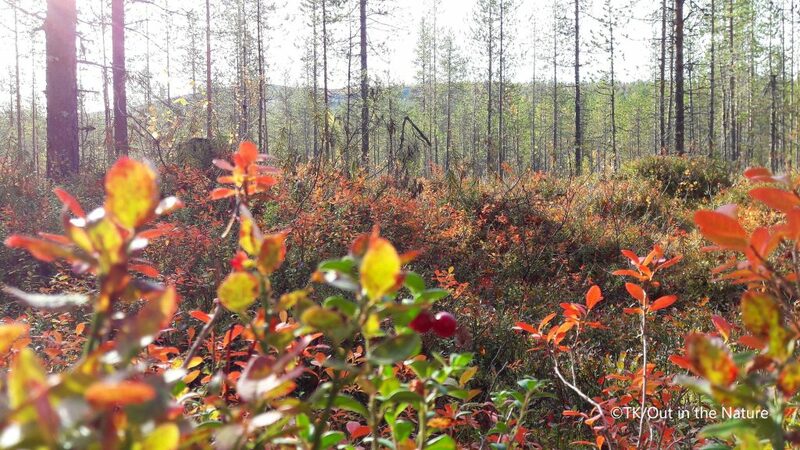 The best areas to experience both foliage and shrub colours are above the Arctic Circle, so it is great that one third (1/3) of Finland is above the Arctic Circle! 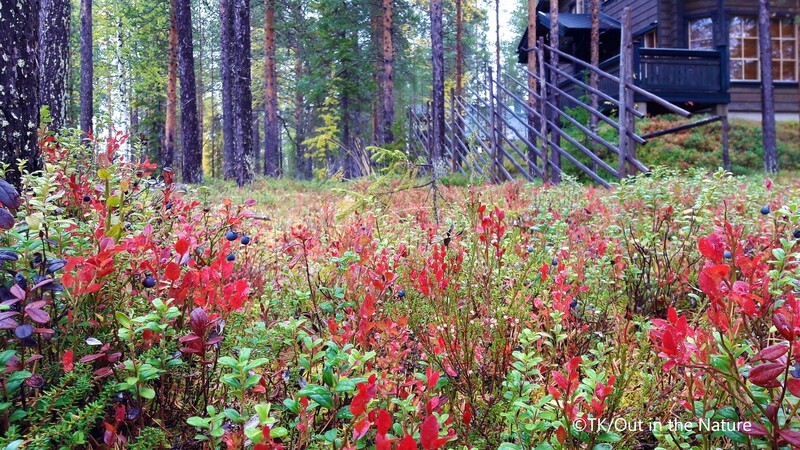 However, you can experience autumn colours anywhere in Finland. 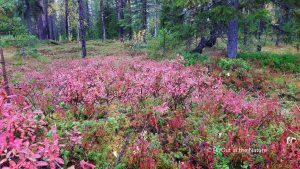 How to see autumn colours: There are several larger and smaller holiday areas in Lapland that offer autumn colour tours. You can also just look around and get out of your car (or off your bike) when you see them next to the road. 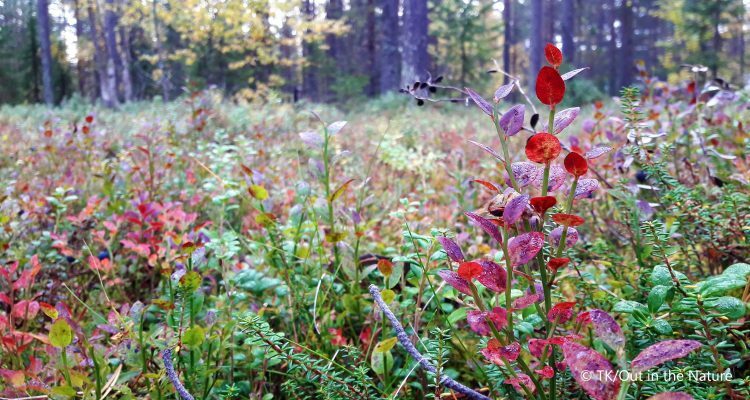 Accessibility: You can enjoy autumn colours in many ways. If you are like me, you will be knee-deep in shrubs and squatting down to get the best possible pictures to remember the colours by. 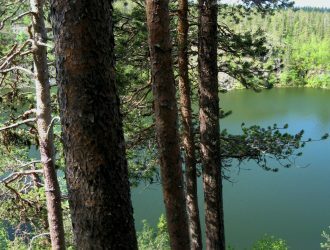 You can also enjoy them from a distance or from observatories high above tree lines in more popular destinations. In short: as long as you enjoy the splendour of colours and take care of the nature, do whatever feels best! When to go: The best time is usually during the second week of September. Sometimes this may vary slightly due to dry conditions or if the frost arrives early. 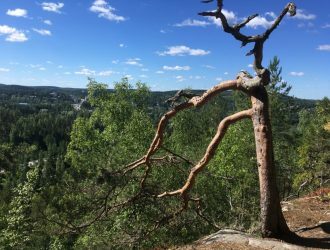 Usually you are pretty safe with mid-September in Lapland. What to wear: Walking shoes. A camera. Warm clothes in case it’s cold.